Here you can make a purchase a World of Wacraft boost of Zandalari Trolls. Carry will allow you to play for new Horde race and use special themed mount dinosaur! Zandalari druids have unique forms - they turn into big dinosaurs instead of animals! Allied race also have unique features and race abilities: City of Gold, Embrace the Loa, Pterrodax Swoop, Regeneratin, Ward of the Loa. 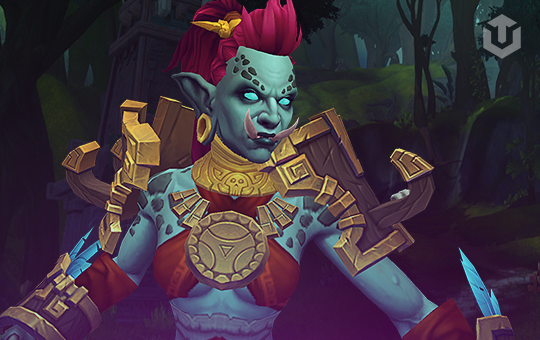 Horde champions rescued Zandalari princess Talanji from prison in Stormwind and received the support of the most powerful troll Empire on Azeroth – Zandalar. Ties between Zandalari Trolls and the Horde only strengthened during war campaign against the Blood god G’huun and countless confrontations with Alliance.